The New Ventures Fund program by Water.org searches for new solutions to the global water crisis. The program is supported by IKEA foundation to help 180,000 get safe water in Bangladesh. 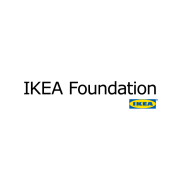 In 2014, IKEA foundation granted Water.org $6.3 million (€ 4.7 million) to support efforts access to safe water and sanitation for a hundred and eighty thousand people in Bangladesh. The foundation's aims to support two innovative programmes: the WaterCredit Initiative and the New Fund Ventures Program. The New Ventures Fund is Water.org’s principal source of innovation funding to pilot, disseminate and scale initiatives that address the underlying causes of the water crisis−lack of capital, accountability, transparency and participation in the cause. Launched in 2011, the New Ventures Fund empowers Water.org to explore models and approaches to advance and accelerate its positive impact against the water crisis. They've empowered more than 10 million people with access to safe water and sanitation. They believe water is the way. To break the cycle of poverty. To protect and save lives. To make a bright future possible for all. Access to safe water can protect and save lives, just because it's there. Access to safe water has the power to turn time spent into time saved, when it's close and not hours away. Access to safe water can turn problems into potential: unlocking education, economic prosperity, and improved health. Every human being deserves to define their own future, and water makes that possible. They've transformed more than ten million lives with access to safe water and sanitation, and together they can reach even more people. For more than 25 years, they've made it their mission to bring water and sanitation to the world. Founded by Gary White and Matt Damon, they pioneer market-driven financial solutions to the global water crisis. Charity alone is not a long-term solution. They seek sustainable financial solutions that empower people with access to the water and sanitation solutions they need. That's why they created WaterCredit, bringing small, affordable loans and expert resources to make household water and sanitation solutions a reality. On three continents around the world they've seen how empowering people does more than create access to safe water; it gives women hope, children health, and communities a future. With your help, they have empowered more than ten million people with access to safe water and sanitation. And there's more to be done. With programs and people working in 13 countries, they're scaling and exploring new markets and solutions to help end the water crisis. They invite you to see how your support changes lives by learning more about their smart solutions, where they work, the people they empower and the magnitude of the water crisis. Their solutions focus on empowerment through access to affordable financing. For millions around the world, access to funds is the only thing that stands between them and safe water and sanitation in their home. Their solutions focus on breaking down this financial barrier and bringing hope and opportunity to those in need.